Tucked in the heart of Seminyak, close to many restaurants and shops, this gorgeous villa of 3 bedrooms offers a real good deal for you. 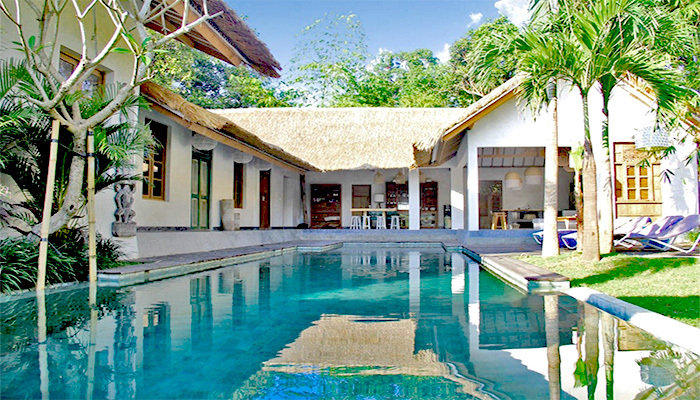 Enjoy the privilege of the private access to this charming property located in a quiet area while the hustle bustle of Bali is only a few minutes away. The house consists of two floors where the ground floor shelters the two bedrooms, the living area and the dining area. Both bedrooms come with the comfortable bedding and a private en suite bathrooms. The second floor consists of the third bedroom where the bathroom is placed next to the stairs. 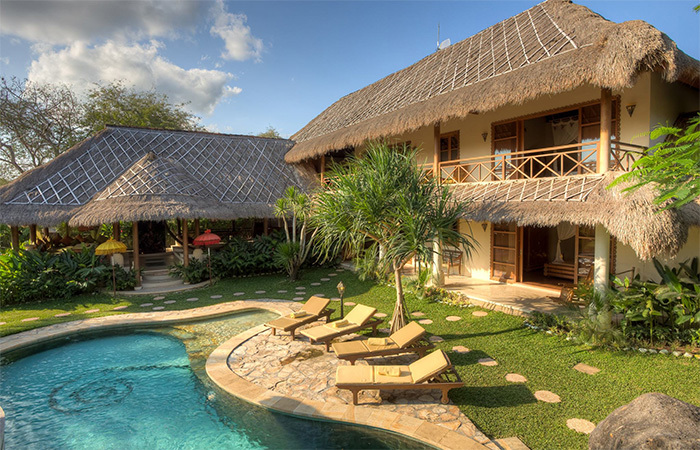 The villa has a unique swimming pool with a Jacuzzi for those who crave for a relaxing getaway on the island. Don’t miss the gazebo corner right on the pool, perfect for your summer nap or for reading by the pool with the garden view. 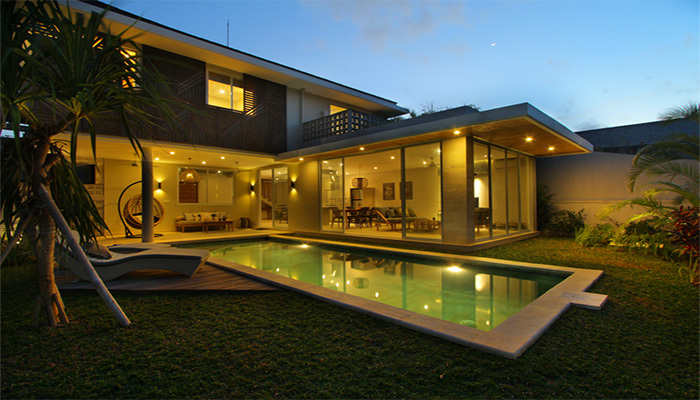 Get this property immediately for your potential investment in Bali!